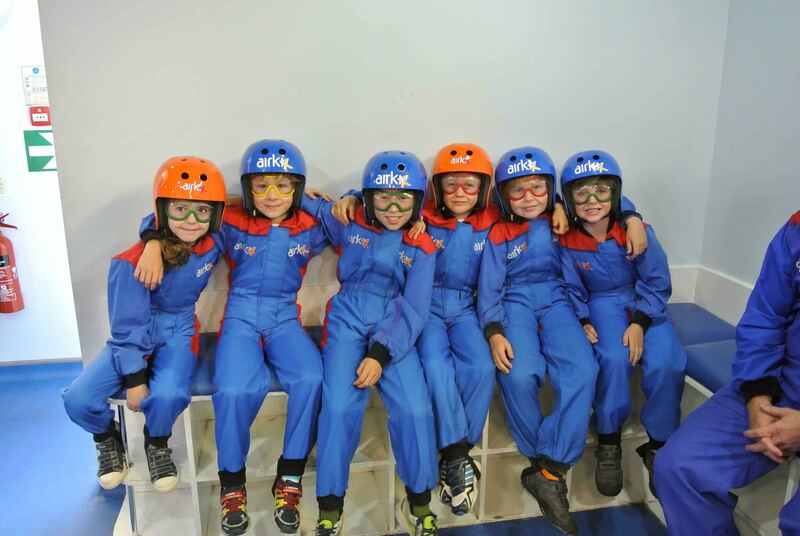 My friend Caspar had his birthday party at Airkix. 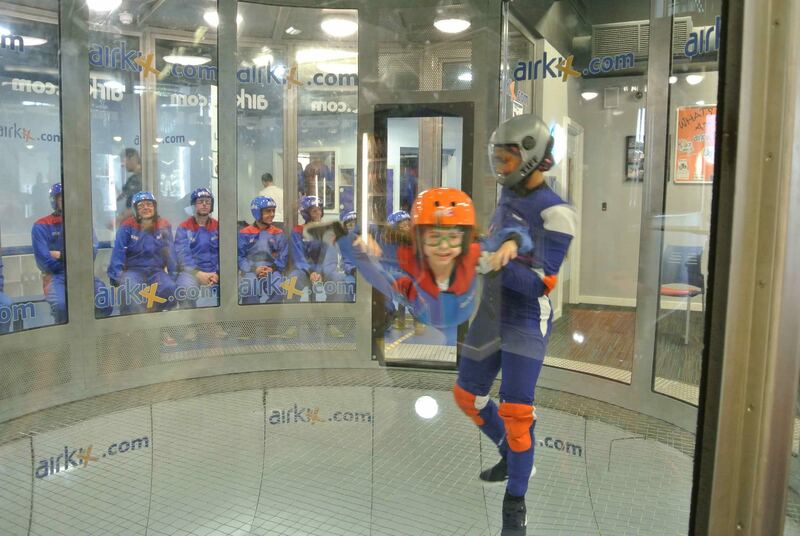 Airkix is a company that gives people the experience of Skydiving without even having to go into the sky. Caspar’s Mummy made us all special t-shirts to wear. First we watched a video which told us what we needed to know. We learnt about the hand signals that the instructor would use in the wind tunnel. Then we had to suit up, put in ear plugs, and wear goggles and a helmet. When we were ready we went into the outer bit of the wind tunnel. 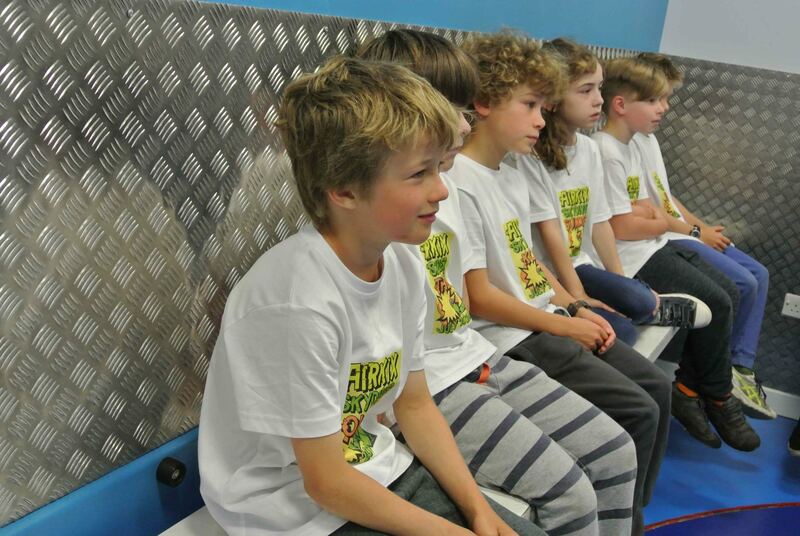 One by one, we were taken into the wind tunnel for our first go. 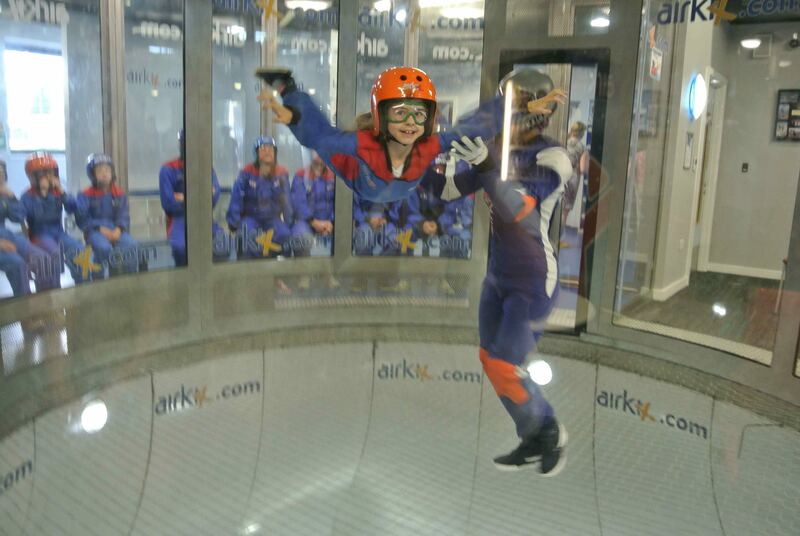 Our instructor, Tiffany, showed us how to fly. Then she would just let us float around at the bottom of the tube and Caspar’s Mummy took photos of us all flying. After we had all had our first go, we were allowed to go up to the very top of the tunnel. The instructor in the booth who was controlling the wind would turn it up very high and then Tiffany spun us around and would slowly take one leg up into the air and then the other one and then we would spin around really quickly and shoot to the top of the tunnel! It felt like being in a tornado. It was awesome! I was very nervous but I did it! 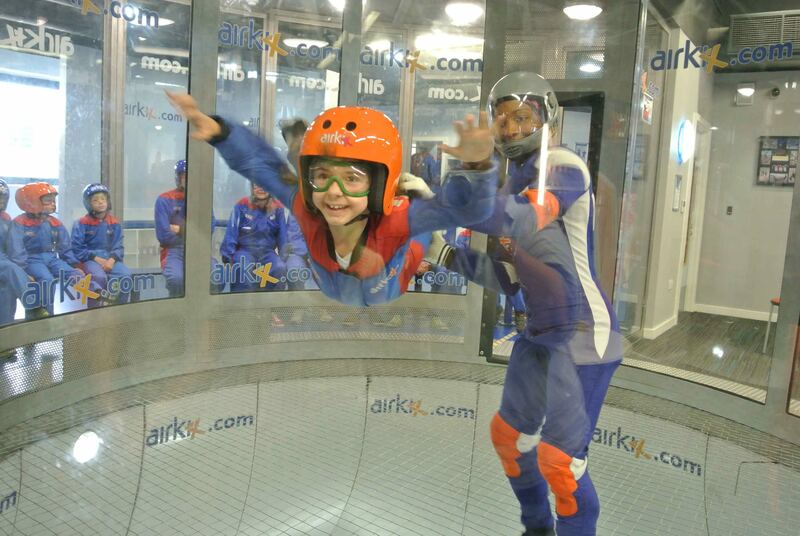 This entry was posted in Adventure, Day Out and tagged Airkik. Bookmark the permalink. Hello Summer. My name is Ken I am your Granddad Alan’s cousin. I don’t know anything about Blogs so hope I haven’t messed things up. This was the first Blog I have ever had so I expect I have messed it up. I think your Blog is brilliant and very interesting and look forward to your future Blogs.